The ocean is home to many fantastic forms of life—blue whales are the largest animals ever to exist, sailfish swim as fast as cheetahs run, and bull sharks bite with the force of 6,000 newtons. But life in the ocean depends on some of its smallest, most unassuming organisms: phytoplankton. 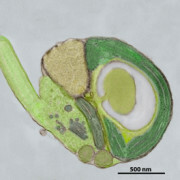 Phytoplankton live near the surface of the sea, where sunlight can penetrate and stimulate photosysnthesis, but their life cycles have implications for even the deepest, darkest corners of the ocean. These tiny organisms therefore make the Upper Ocean a highly important area of research and study. MBARI’s Strategic Plan and Technology Roadmap highlight how MBARI can contribute to a greater understanding of all of these processes. 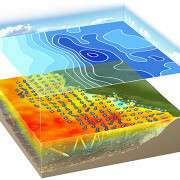 Two inter-related focus areas of these documents— ocean biogeochemistry and ecosystem processes— are important cornerstones. 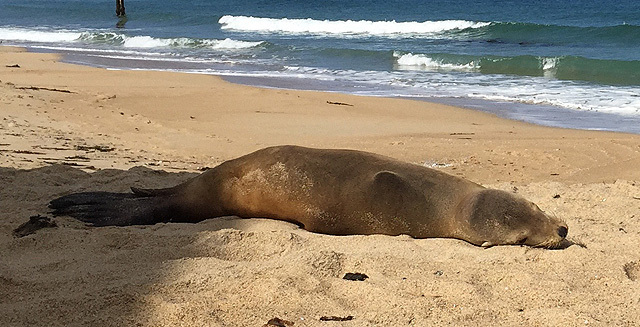 These focus areas form two halves of an inextricable loop: The chemistry of ocean waters fuels living organism and these organisms modify ocean chemistry through their life processes. 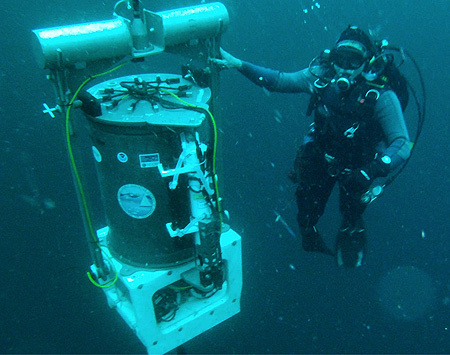 MBARI is therefore always developing new methods and tools to advance the science of upper water column biogeochemistry and ecosystem processes. 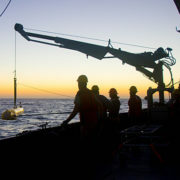 One of the longest-standing projects of the Biological Oceanography Group is the Monterey Bay Time Series. Research ships and moorings have collected detailed datasets of temperature, salinity, oxygen, CO2, phytoplankton and other changing variables since 1989. The Chemical Sensors project seeks to understand changing ocean chemistry because chemical composition of the ocean affects the entire food web. 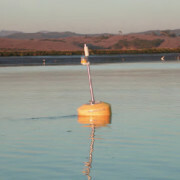 The group outfits floats with the ever-developing chemical sensors and uses them to keep track of changes in nitrate and pH among other variables. The Marine Microbe Group focuses on mechanisms and controls of microbial population dynamics. Our research has an emphasis on carbon cycling in marine ecosystems - processes which regulate carbon fixation and energy transfer to higher trophic levels. 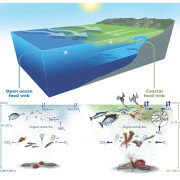 These processes are critical to sustainability of oceanic food webs, global climate and human health. 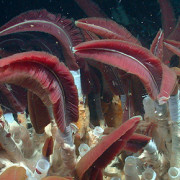 The Molecular Ecology Group described how factors—such as geographic distance, topology of the seafloor, and deep-sea currents—affect the stability and dispersal of vent clams, mussels, snails and tubeworms, and studied the genetic connections among populations such as these, especially those that thrive in environments like hydrothermal vents, hydrocarbon seeps, wood, and whale falls.